CMSE Consultancy is a leading provider of Seveso Compliance services in Ireland today. CMSE Consultancy specialists provide practical solutions and advice to our clients in the Seveso area. Our consultants have many years` experience at Tier I and Tier II sites all over Ireland and the UK including development of the MAPP, Safety Reports, etc. In 1976 an accident happened at a chemical plant in Seveso, Italy which manufactured herbicides and pesticides. A dense vapour cloud containing tetrachlorodibenzoparadioxin (TCDD), a poisonous carcinogen, was released from a runaway exothermic reaction. 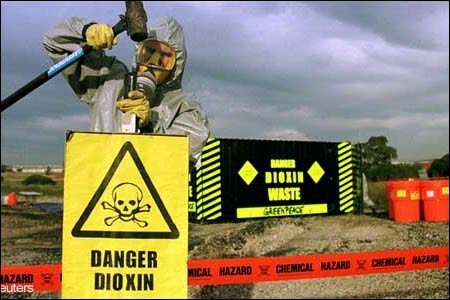 This resulted in more than 2000 people being treated for dioxin poisoning. Following the Seveso accident, legislation was compiled aimed at the prevention and control of such accidents. In 1996 the Council Directive 96/82/EC on the control of major accident hazards – so called Seveso II Directive – was adopted. Their main aim is to prevent and mitigate the effects of those major accidents involving dangerous substances. Technical and organisational preventive measures in place, as emergency response, External Emergency Plans, fire suppression systems, safety operation procedures. Features and elements in the workplace to mitigate the effect of a major accident. By carrying out an on-site walk-through inspection an in-depth review of the plant our Process Safety Engineers will identify possible lapses in the legislation compliance and they will ensure that the plant and the equipment, as well as the operating and maintenance procedures, meet the COMAH requirements. Once the audit will be performed, a report will be issued giving detail of existing control measures, basis of safety to be implemented and actions required to comply with COMAH directives. b) External factors result in one or more of the COMAH qualifying thresholds being met or exceeded (for example, reclassification of a substance as dangerous to the environment). Elements of surrounding environment which could make the consequences of a major accident worse. * ‘Likely to be present’ – eg inventory variations which may occur because of seasonal demand, fluctuations in business activity etc, or dangerous substances which may be present sometimes but not at other times. Also includes dangerous substances which may be generated during the loss of control of an industrial chemical process. Preparation of COMAH Safety Report to form the basis of safety for the operation of a COMAH site.